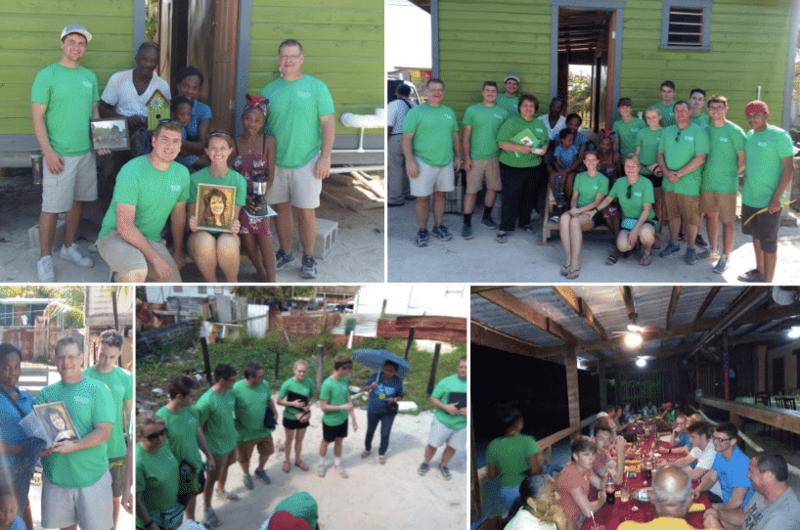 This past week, volunteers of the Sisters of Charity of Nazareth, in collaboration with Hand in Hand Ministry, built a home in Belize City for Kendra and her family. The simple home was built in memory of Christin Gaston who taught at Father Andrew White School in Maryland for many years. She was so loved by her students and faculty that they raised the money to build this house in her honor. Christine’s husband, Jim, their son, Max, and daughter Elizabeth with her husband, Corey, were joined by St. Thomas youth group members to make Kendra’s dream of having a new home a reality. What a beautiful tribute to Christin!!! Thank you!